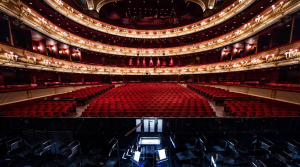 Each month the Royal Opera House broadcasts their current production to cinema’s around the world, this allows those who may not have had the opportunity to experience live opera or ballet to see it conveniently in their local cinema. For over 3 years now we’ve proudly provided studio graphics including tweets and credits, for the whole production including the broadcasts featured in Trafalgar Square in the Summer. World Ballet Day LIVE is a yearly production in which the world’s most famous ballet companies including the Bolshoi Ballet & The Australian Ballet combine to exhibit their rehearsals & talents from around the world, broadcast live on YouTube across numerous time zones, we provide studio graphics throughout the day. Copyright © MOOV TV Ltd 2017. All rights reserved.